Archie has a broad range of courtroom experience, having tried cases in state and federal courts in Alabama and litigated in numerous other states throughout the country. 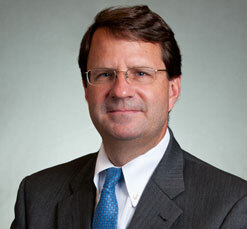 His practice areas include product liability, pharmaceutical and medical device, business and commercial litigation, complex coverage disputes, antitrust, as well as general personal injury litigation. He has handled matters in the multi-party and class action contexts as well. In addition to his practice, Archie regularly speaks and presents on trial-related topics, and he served as a faculty member of the International Association of Defense Counsel’s Trial Academy at Stanford Law School. Archie has received designations in Alabama Super Lawyers (named to the Top 50 Alabama Super Lawyers), Benchmark Litigation, and he has been identified as a leading product liability defense and life science/product liability attorney worldwide by Who’s Who Legal. Obtaining summary judgment of a medical device manufacturer in federal court. Successfully opposing temporary and preliminary relief in a variety of commercial and business matters. Obtaining the granting of a dispositive motion in state court on behalf of a medical device manufacturer. Obtaining a defense verdict in general personal injury trial. Achieved a defense verdict in a business tort case involving the development of a large marina on the Gulf coast. Represented the state’s oldest daily newspaper, through trial and to a successful appeal in the Alabama Supreme Court, in a case clarifying and expanding the right of public access to municipal criminal files. He and his wife Shannon are parents to three sons. International Association of Defense Counsel Trial Academy, Stanford Law School, 2009. Satellite Trial Academy, International Association of Defense Counsel, Birmingham, Alabama, January 2007. Daubert Update: Recent Cases for the Defense Arsenal, Defense Research Institute Annual Meeting, Chicago, Illinois, October 2005. Defending Corporate Executive Depositions, International Association of Defense Counsel Annual Meeting, Colorado Springs, Colorado, July 2005. Jury Selection Techniques, International Association of Defense Counsel Annual Meeting, Hot Springs, Virginia, July 2004. Expert Testimony in Drug and Medical Device Litigation, ABICLE, Birmingham, Alabama, May 2002. Liability Implications of Direct to Consumer Advertising of Pharmaceutical Products, International Association of Defense Counsel Annual Meeting, Whistler, British Columbia, Canada, July 1999. Insurance Coverage Issues in Environmental Litigation, ABICLE, Birmingham, Alabama.